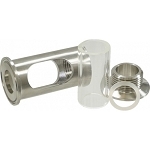 Available with all stainless steel stand constructed with 1” tube and a ¾” pipe thread connection. 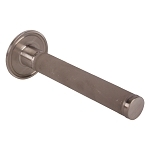 31-1/2” overall length. 17” height ground to top of nozzle. You can add the stainless steel stand shown in the photo at checkout for a $230.00 adder.